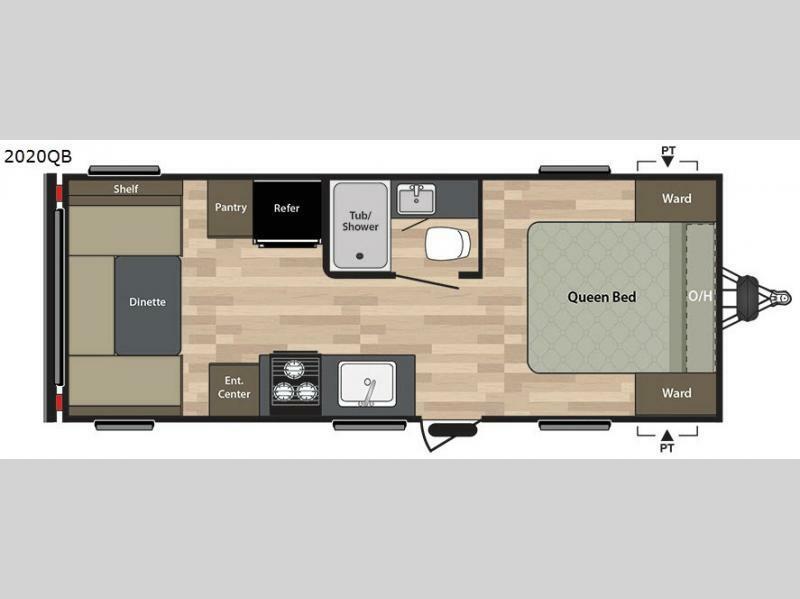 This Springdale SS travel trailer 2020QB features everything you need to make your time away from home convenient and comfortable. You will have a private front bedroom with a queen bed to lay your head at night and wardrobes for storing your things. It will be easy to prepare light meals and snacks in this kitchen and in the rear there is a u-shaped dinette that is perfect for meal times or just hanging out. You can easily view the entertainment center nearby. The dinette can also be made into additional sleeping space if needed at night. You can also enjoy the front pass through storage compartment for all of your exterior camping gear. 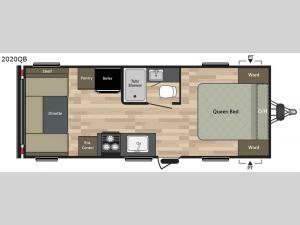 Take a look at these Springdale SS travel trailers by Keystone! Each one of these models are built with a powder coated I-beam frame, and the hurricane straps reinforced structure will keep your unit structure strong and safe. There are EZ lube axles, nitro filled tires, and an outdoor shower for a little bit of convenience throughout your trip. The two interior speakers and two outdoor speakers add a little bit of fun as you are on vacation. You can use them while you are washing dishes or out enjoying the great outdoors. Whether you need a smaller unit with no slide or a bigger unit with up to two slide outs, then take a look at these travel trailers today!